A place of honor, a symbol of strength ... Yes! This is the legendary arena where dedicated fighters duel it out against one another to prove who the true King of Fighters is! Fighters combat each other in a 1v1 battle. You can challenge other players to obtain higher rankings and prestige, until you eventually reach the top spot and dominate the whole server! So, how can you actually reach this pinnacle of the arena and win the championship? Let’s take a look. You will see this interface right after entering the arena; this is the entrance, go in to combat other fighters! 1. Enter the Arena and you will see fighters of different ranks, some higher, some lower. Challenge fighters with a higher rank and beat them to switch positions with them, keep doing this to improve your ranking. 2. To ensure fairness, all challenges are fought in automatic fight mode, since your opponent may not be online at the time and can’t use a series of perfect combos like you can, and we can’t just give them all perfect combos either. So just sit back and enjoy the fight. 3. You only get 5 challenge opportunities a day with a 5 minutes cool down in between each challenge. If you can’t be bothered to wait, you can also spend a little diamond to reduce cool down to 0 immediately (not permanent). You can also use Diamonds to increase the number of challenge chances in order to get better daily arena rewards. 4. 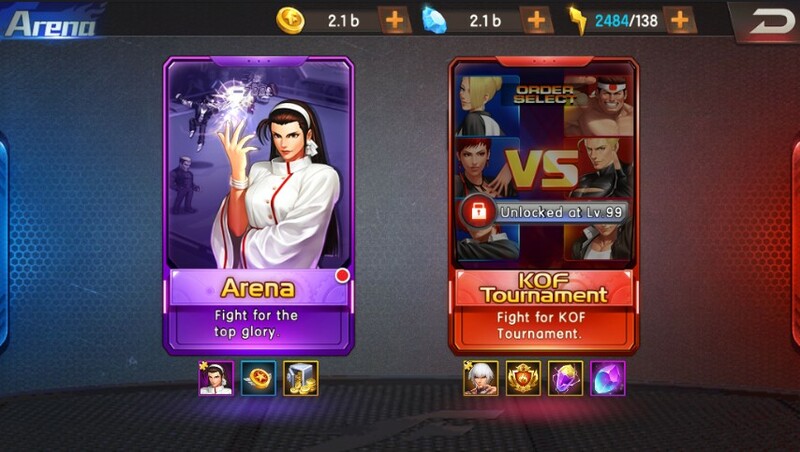 If you are unsatisfied with the available challengers, you can also click refresh to switch out the panel of potential challengers and replace them with new ones. Note you only get 2 free refresh chances, after that it will cost you a bit of Diamonds. 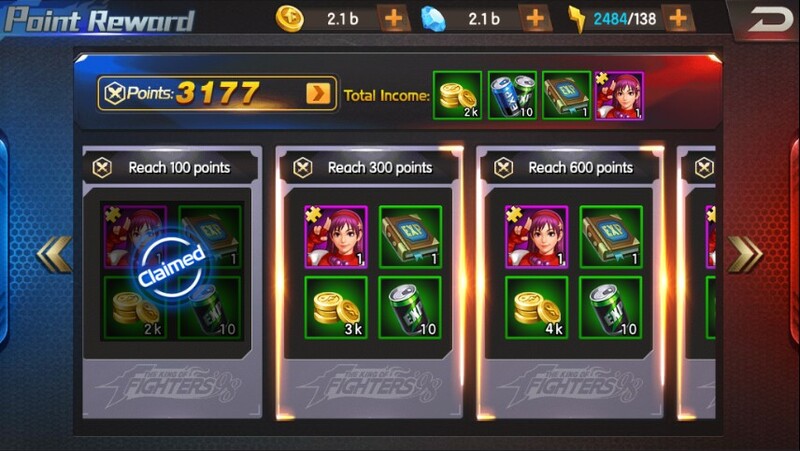 There are 3 types of rewards in the Arena, the daily points reward, the daily ranking reward and the once off personal best rank reward. When you have reached a certain personal best rank level, you can claim the once off corresponding rank reward. You can get lots of gold coins, diamonds, equipment chest keys, and even awakening stones. 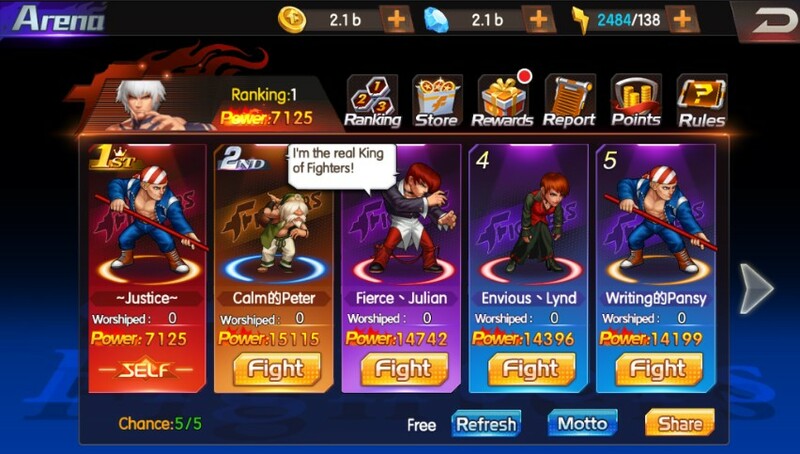 Rules – defeat all opponents within 10 rounds. It will be considered as a defeat if all your fighters get defeated or if you can’t completely defeat all your opponents within 10 rounds. Unfortunately there is no ranking reward; it’s simply for you to show off to your friends. 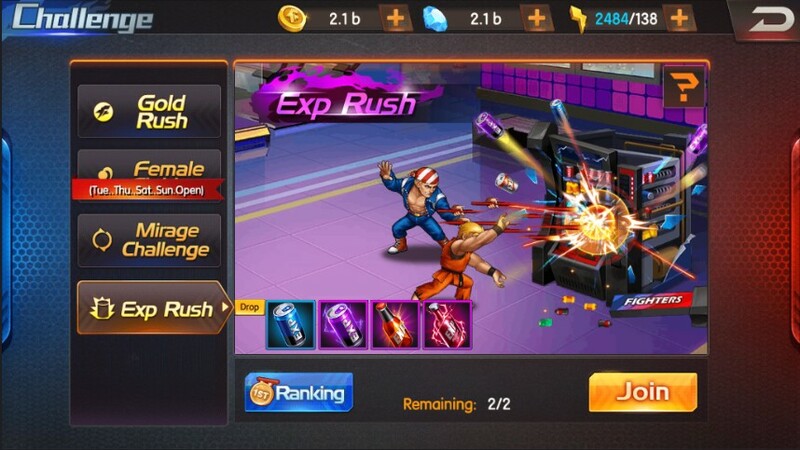 The ultimate trial is a special in-game activity for you to test the strength of your entire team of fighters against increasingly difficult foes, fight your way up and see how far you can reach! 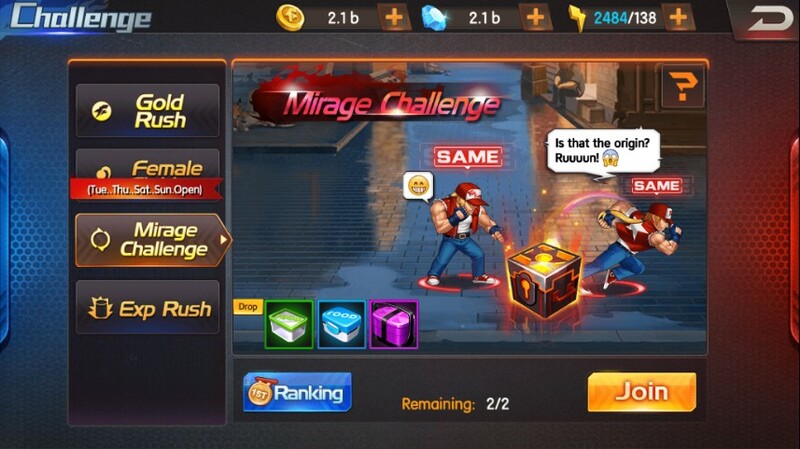 Click Challenges button in the lower right corner of the in-game home screen. 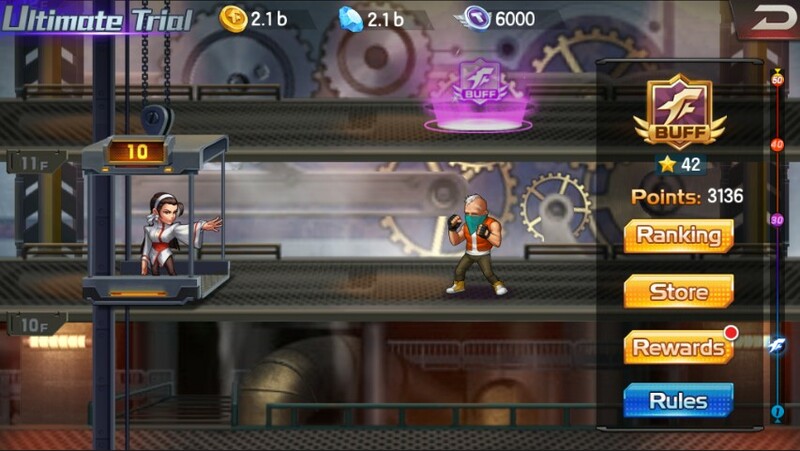 After entering the Ultimate Trials, you will see the interface with different levels, click on the enemy on the right hand side, which will lead to an interface with 3 different fighters of 3 different difficulties. The higher the difficulty, the more points you get, which can be used to exchange for buffs at certain levels. You can see each of the enemy teams’ configurations by pressing on the fighter image. 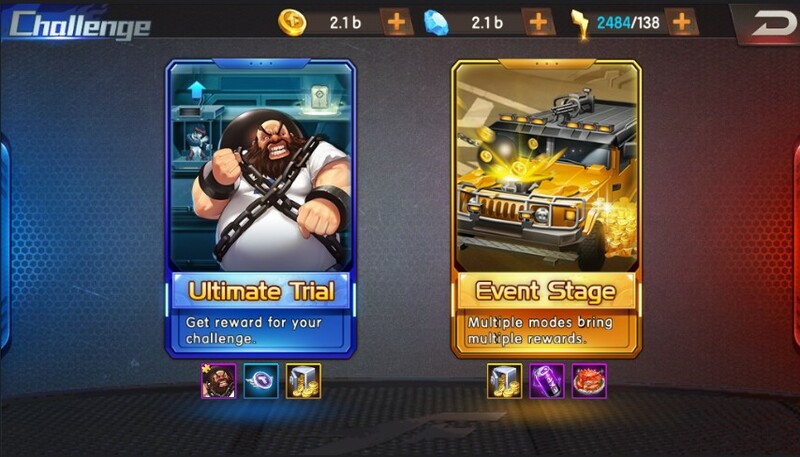 Any fighters on your team that are above level 18 can participate in the ultimate trials. Note: Fighters health and energy will be carried over into the next level; this is the same for the enemy if you lose a fight. Fighters cannot be used again that day in the Ultimate Trials after it has been defeated, therefore pay attention to the fighter’s health level, use Athena to recover your team’s HP and make sure that your strongest fighters stay alive the longest. You can keep challenging the enemy until all your fighters have been defeated. 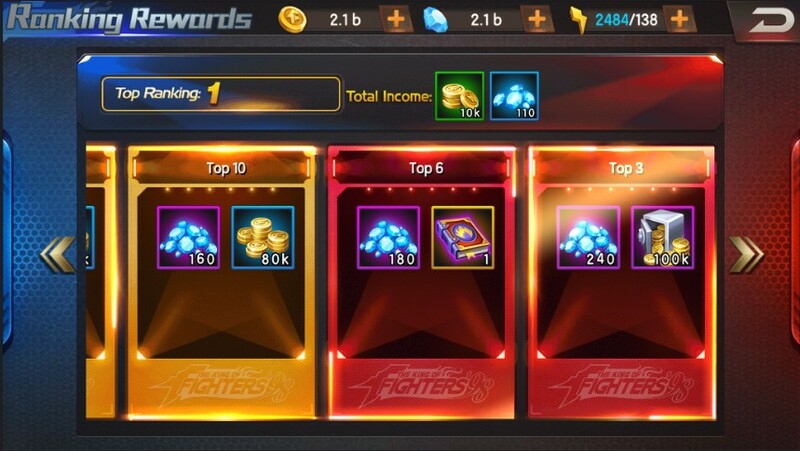 Daily rewards will be given out at 09:00 every day, based on your performance at that time, of which the rewards will be sent to your mailbox directly. Trial coins can be used to exchange for rare items and fighter fragments in the trials store. Buffs can be exchanged with stars gained in ultimate trial battles every two levels. There are also clearance chests on certain levels, which can be opened once for free, giving you lots of gold coins and rare items. You can use a small amount of diamonds to open the chests several times. 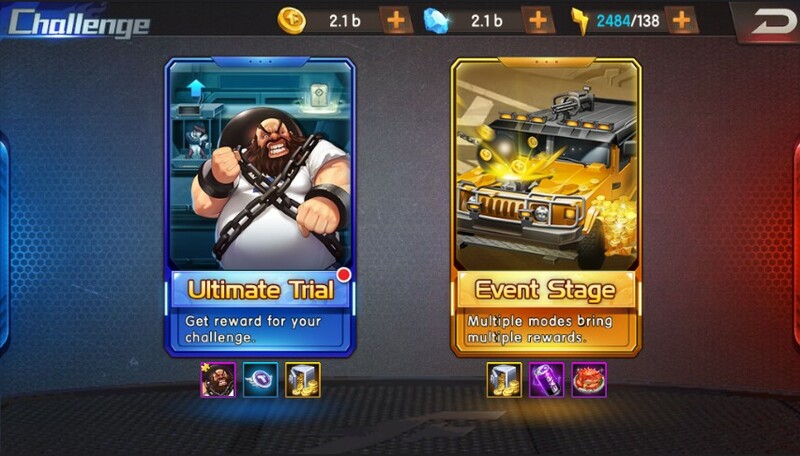 Many players believe that having more players will get them further in the Ultimate Trials, by overwhelming the enemy with numbers; however this is not the case. The enemies will progressively get stronger as well; therefore numerous weak fighters will only do minimal damage, while a few strong fighters will take you all the way to the top. Quality over quantity. 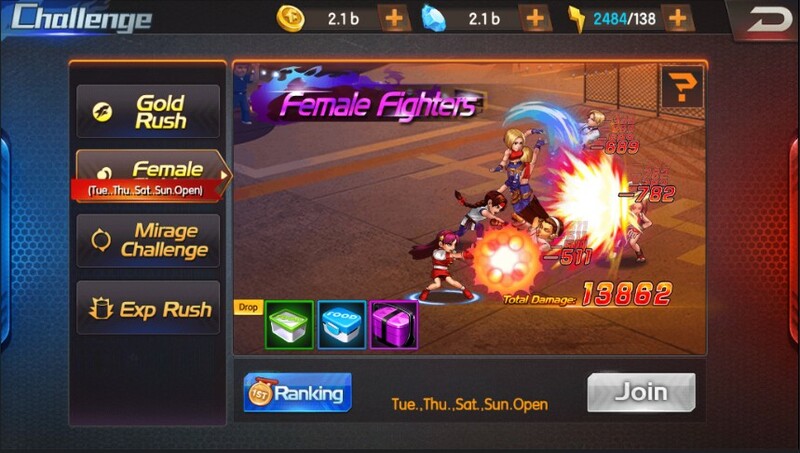 We recommend that apart from the key 6 fighters, you should also train at least 3 more high fighting power fighters, 1 damage dealer, 1 Tank, 1 healer; or 2 Tank and 1 healer. Of course, if you trained 2-3 teams of Fighters, you can switch up tactics and easily reach level 50!